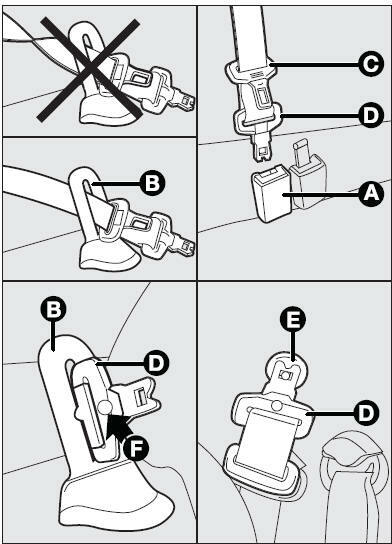 release the seat back moving the levers (C) as shown by the arrow. Tilt it to make a single loading surface with the boot floor. The boot can be extended completely or partially. 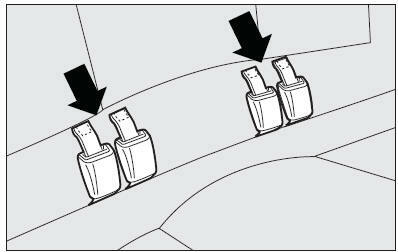 release the seat back moving lever (C), then tilt it. To fold the whole seat, lift the cushion and then tip the seat backs as described for the rear single seat. 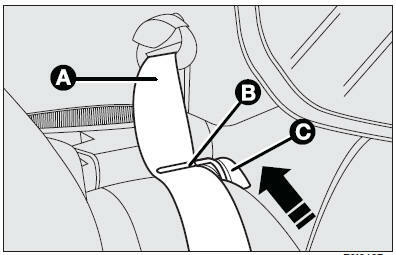 pull the belt gently through loop retainer (B), and fasten the first tongue (D) in buckle (A) (grey with black button). Make the two yellow dots (one on the tongue and one on the buckle) coincide.